As a homeowner and struggling lawn keeper, I’ve often wondered what possessed God to create dandelions. They are the bane of gardeners everywhere, an impossible to kill nuisance that seemingly does nothing but cause headaches. Yes, I know you can eat them…I tried that as a kid. Bleah. Not interested in doing it again during adulthood. As we took our family walk today, I became awash in an old familiarity with this little weed, that offered me a new, and yet nostalgic, perspective. Kids. Love. Dandelions. I certainly did as a child. I’ll bet you did too. Mine adore everything about the little flowers. They are presented as gifts at every opportunity. Little bundles of yellow sunshine held up with sweet smiles and expectant faces. “I love you Mommy!” accompanies their delivery. During our walks. At the zoo. On trips to the mailbox. Adventures in the woods. These little weed bouquets hold all the sincerity and love of extravagant roses and lilies to my children. They beg me to wear them in my hair, line my pockets with their petals, “plant” them in their dirt cities and place them in vases around the house. Often my daughter remarks, “Oh Mommy! Don’t the dandelions look beautiful today?”. 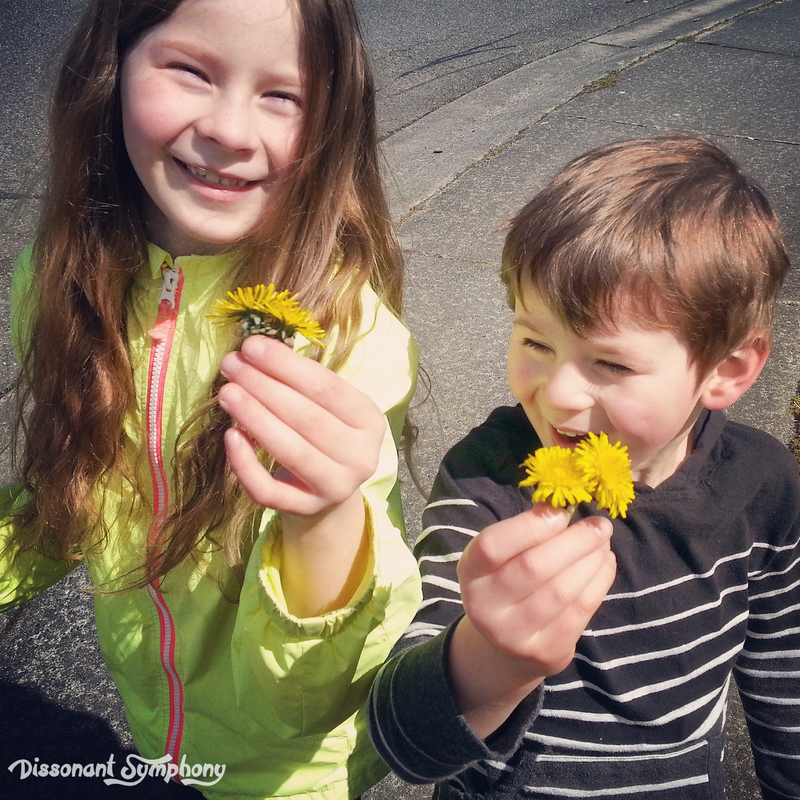 Dandelions are elevated to real flower status in the eyes of children. Indeed, they are considered the very grandest flower, probably because we adult allow them to pick any and all they like. 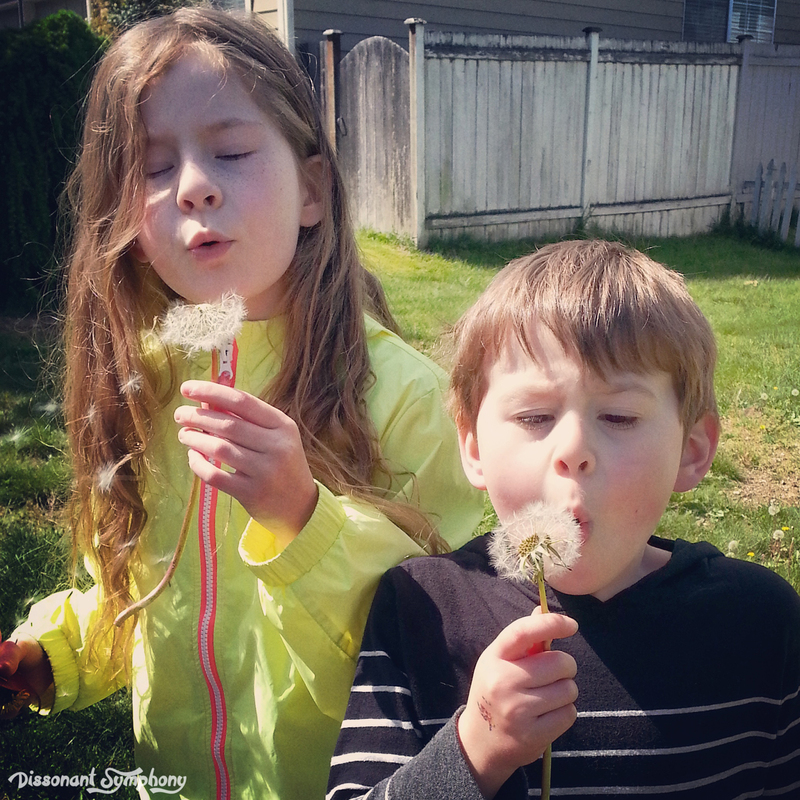 Then, when the golden petals have faded away, dandelions provide renewed excitement for kids by transforming into mystical “wish flowers”. Is there anything more beautiful to children than a yard littered with puff-ball of promise? You can see the delight cross a child’s face when they notice a dandelion gone to seed. Their fingers itching to hold the fluffy magic, to blow their wish across the waiting air. My daughter revels in a perfect puff of air creating peaceful floating seeds. Thanks to the Tinkerbell movies, she probably believes she’s creating fairies in addition to making a wish. My son loves destroying the softness with a mighty gust of breath. Straining with all his lung-power to fully wipe away the flower with one try. 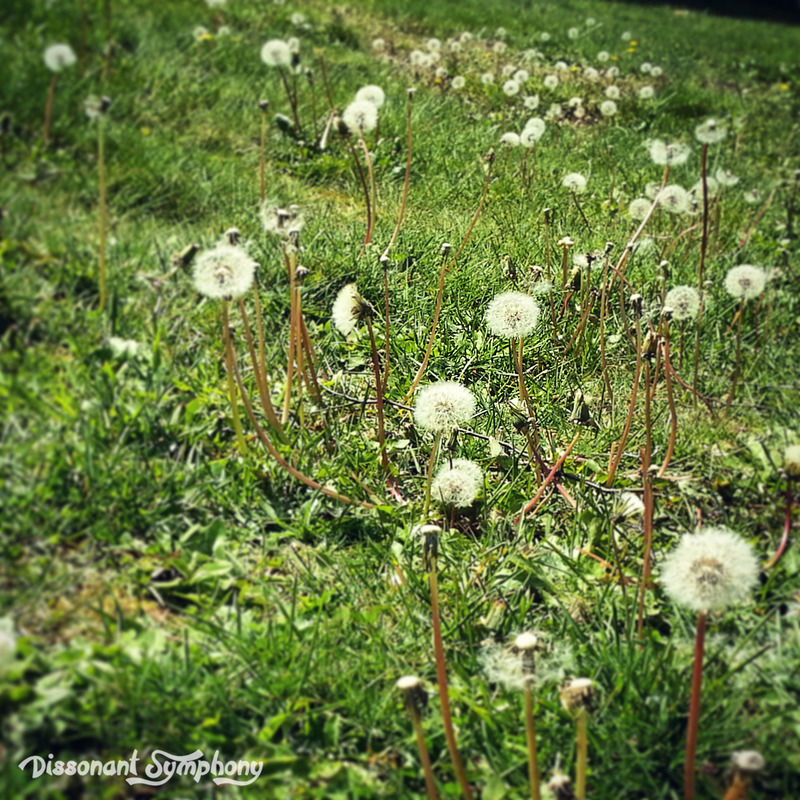 Maybe the problem with dandelions is that, as adults, we place value in the wrong things. Like a perfectly maintained lawn. It’s a status symbol somehow. We all have that one neighbor whose yard is always perfect. Not a weed in sight, not an overgrown plant or sidewalk growing moss to be found. I covet that blanket of beautiful rich green. The tulips that all somehow bloom on the same day, in symmetrical rows. Instead, my lawn is pocketed with moss (thank you Pacific Northwest), and I cannot get my flowers to bloom, except the dandelions that just will not go away. It hit me all at once yesterday that perhaps God knew what He was doing by bestowing dandelions to the earth. Just look at all the pleasure these little weeds flowers create for kids. How can so much simple delight be a bad thing?